Well, I finally did something that I haven’t done in a long time: I traveled to a spot that I actually have NEVER BEEN! This London trip was planned about 4 weeks in advance with my gal pal Lynsey (from TomboyKC), and what were the most important items agenda? Shopping, eating, & teatime, of course! 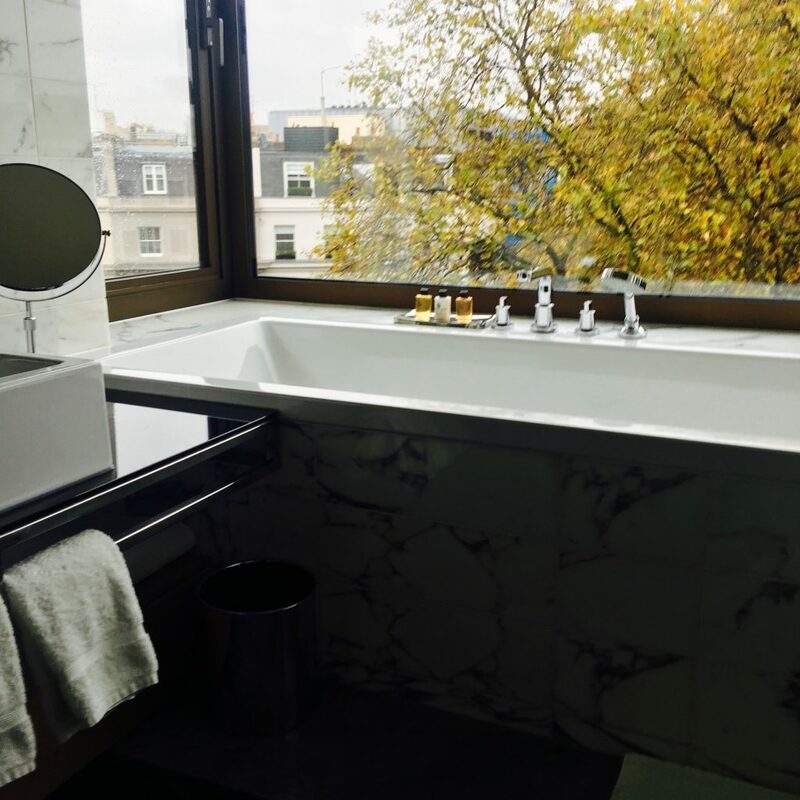 The Hari: This newly remodeled hotel nestled in the heart of Belgravia, was centrally located for most of the activities I wanted to do. 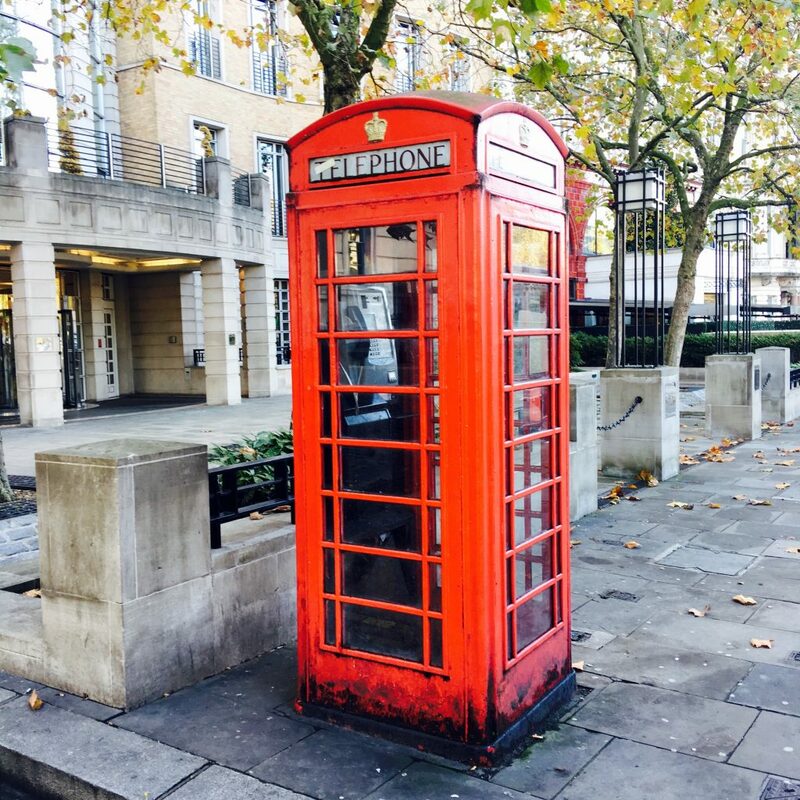 Only a a short walk from Sloane Street, Harrod’s, & Harvey Nichols, & Hyde Park, it was nice to be near all the sights that were on my list. 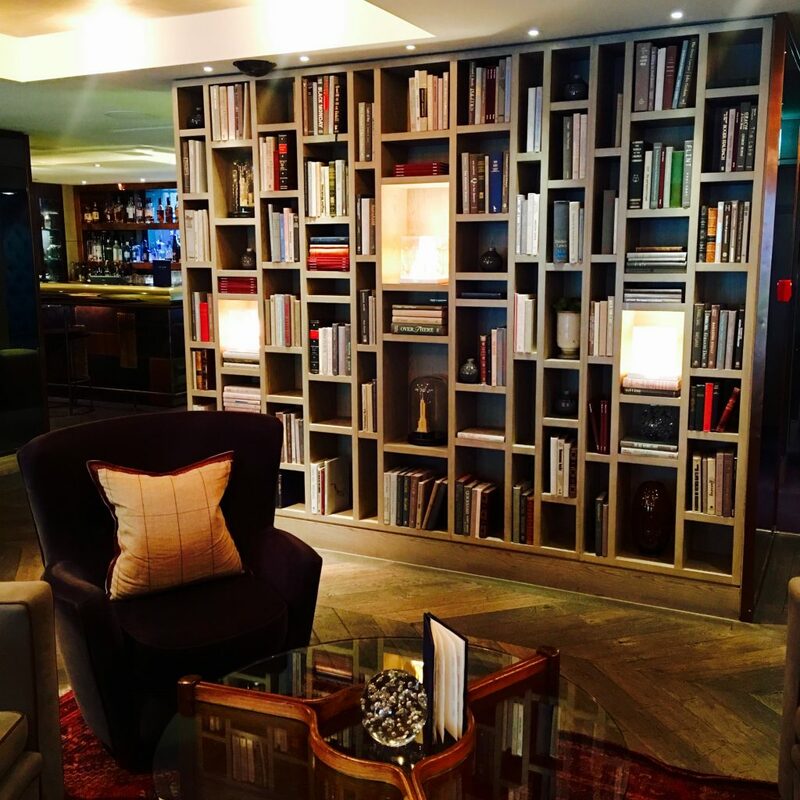 Not only was the room delightfully spacious, but the service was impeccable. With a bathtub & a breakfast spread like this, The Hari makes it difficult for you to ever want to leave your room! The Hari’s second floor lounge is perfectly cozy with cold cocktails & warm fireplaces! Salmontini: We stumbled upon this sushi restaurant our first night in town when we discovered it was just around the corner from our hotel. To be honest, I wasn’t expecting to fly to London and eat sushi that would blow me away, but I was pleasantly surprised. Had we not had dinner plans already lined up for every other night, I most definitely would have returned. 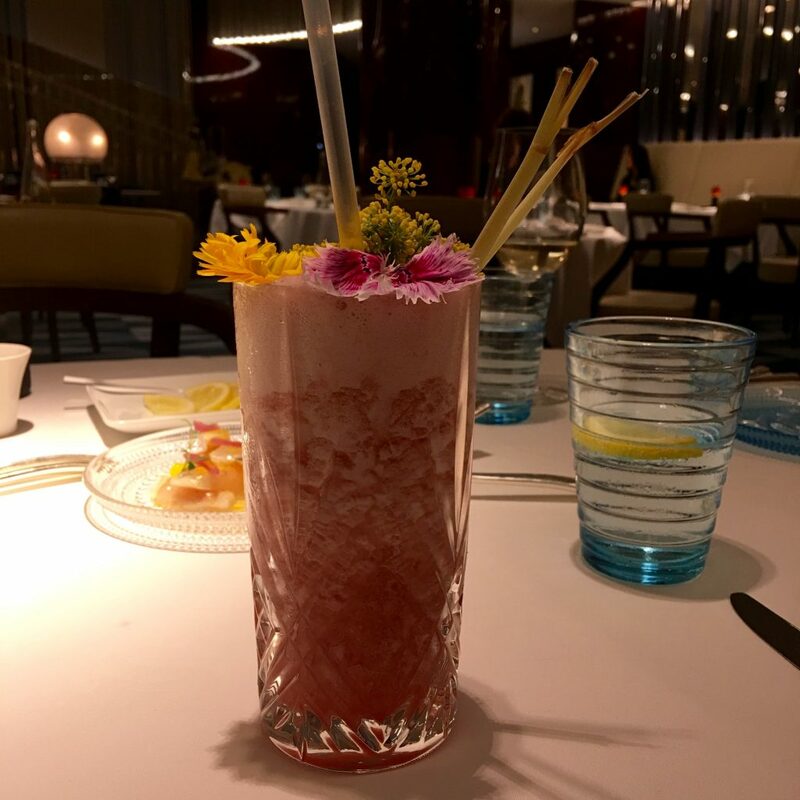 Rivea: This Michelin restaurant inside The Bvlgari Hotel was most definitely our fanciest of meals! With a menu that took my breathe away, we were lucky enough to be eating with a local who guided us through it perfectly. With every course outdoing the one prior, I must say, the scallops were the star of the show! 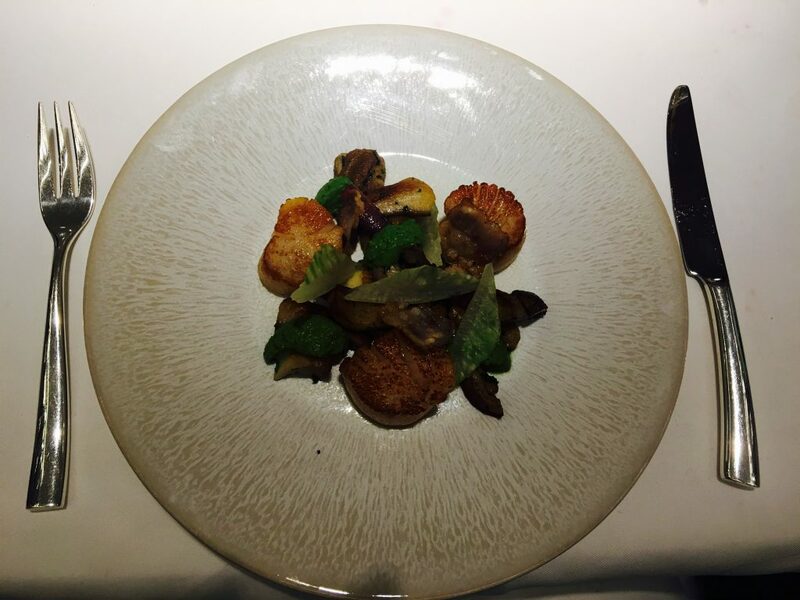 Mouth watering scallops for lunch at Rivea. Even the “mock”tails where garnished with lovely details! 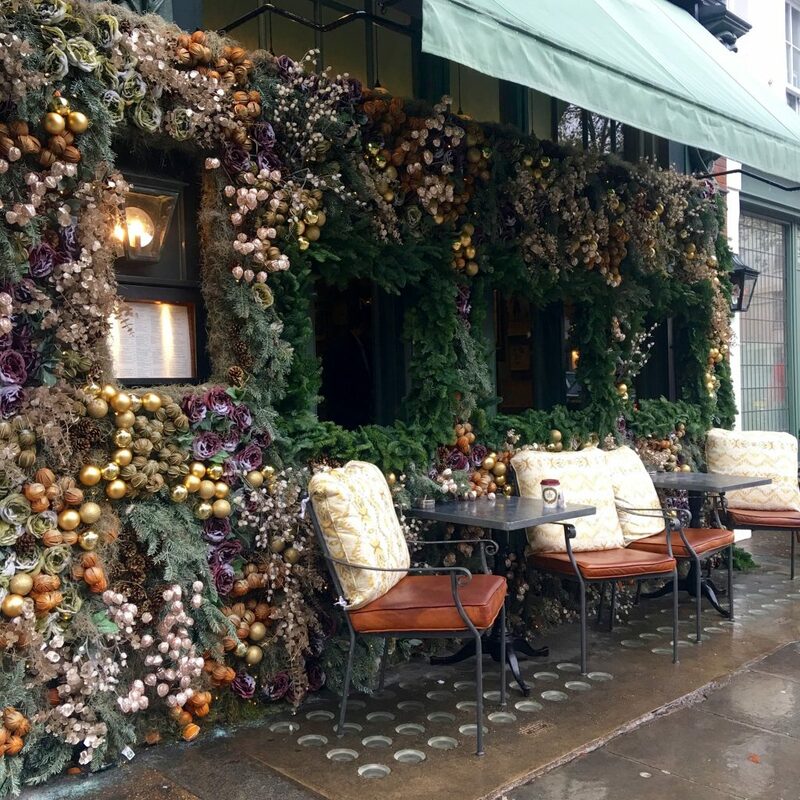 The Ivy Chelsea Garden: This busting brunch spot was perfect for our late brunch after a morning of shopping. There were groups of women nestled in every corner with a glass of rose in hand & a table full of delicacies! Order the zucchini fritti & truffle arancini and you will find yourself in food heaven. As if the food wasn’t good enough, the entrance to The Ivy Chelsea Garden took my breath away, too! Sketch: As if the pink tea room wasn’t enough, this spot has completely knocked it out of the park with their decor! 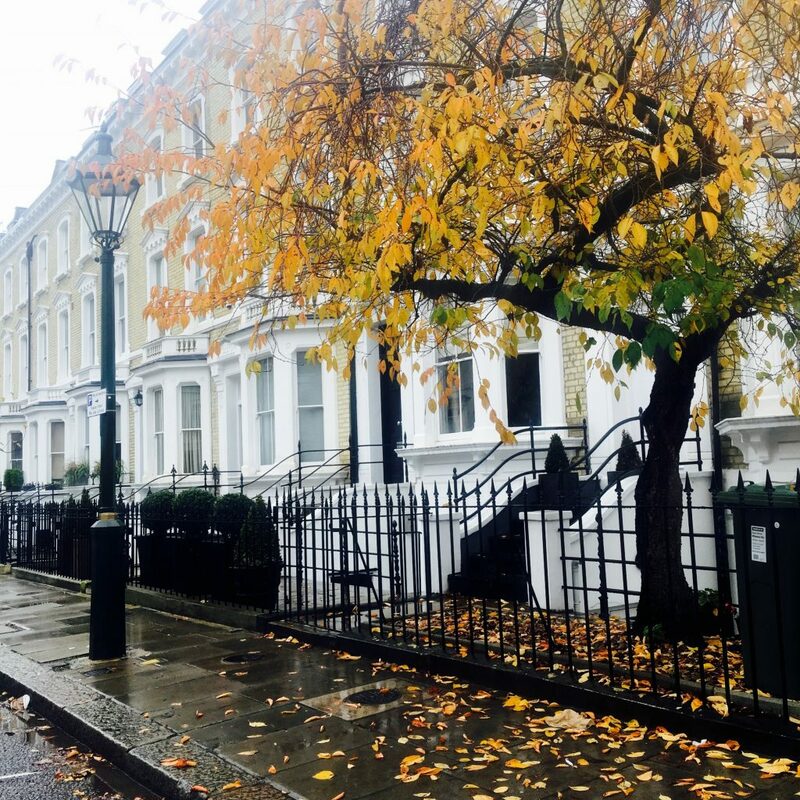 Make sure your phone & your camera are charged, because around every corner is another snap worthy moment! The waitress walks you through the unlimited tea, sandwich, & pastry selections, which was helpful for someone like me who isn’t the most savvy when it comes to afternoon tea! Ps. Take your camera to the restrooms….Trust me, you’ll wanna show this bizarre space to your friends back home! Afternoon tea with a side of pink! Pret-a-Portea at The Berkeley: If you’re a gal who loves fashion, then you would be remiss to miss this stylish tea time! 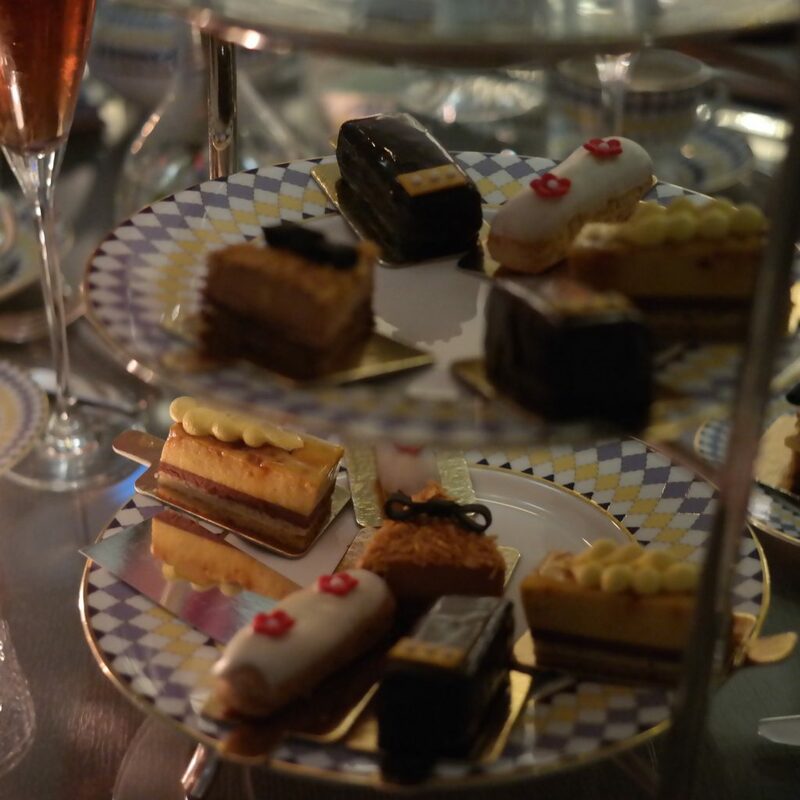 After you down a glass of champagne, a pot of tea, & your savory sandwiches, you are presented with Instagram worthy pastries! Modeled after the collections that debuted during fashion week, these sweet treats are just as delicious as they are fabulous to look at! 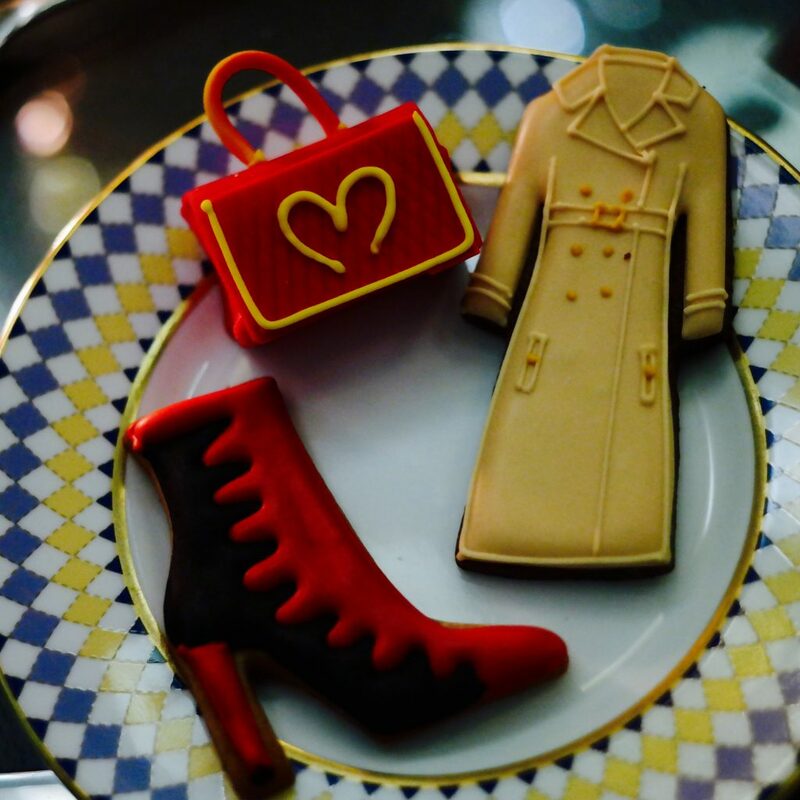 The fashionable pastries were almost too cute to eat! 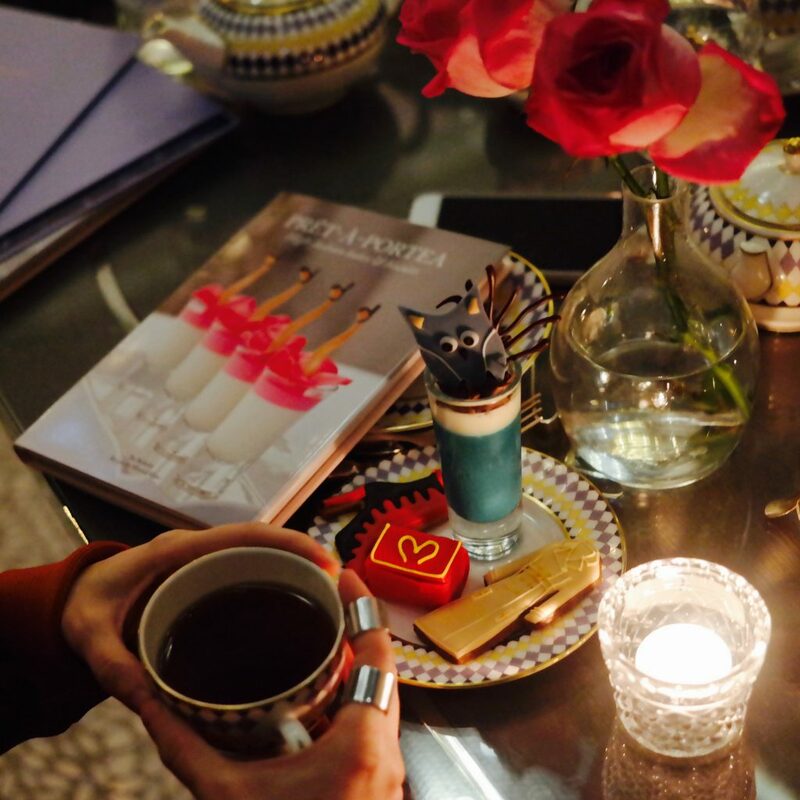 All the adorable details at Pret-a-Portea! 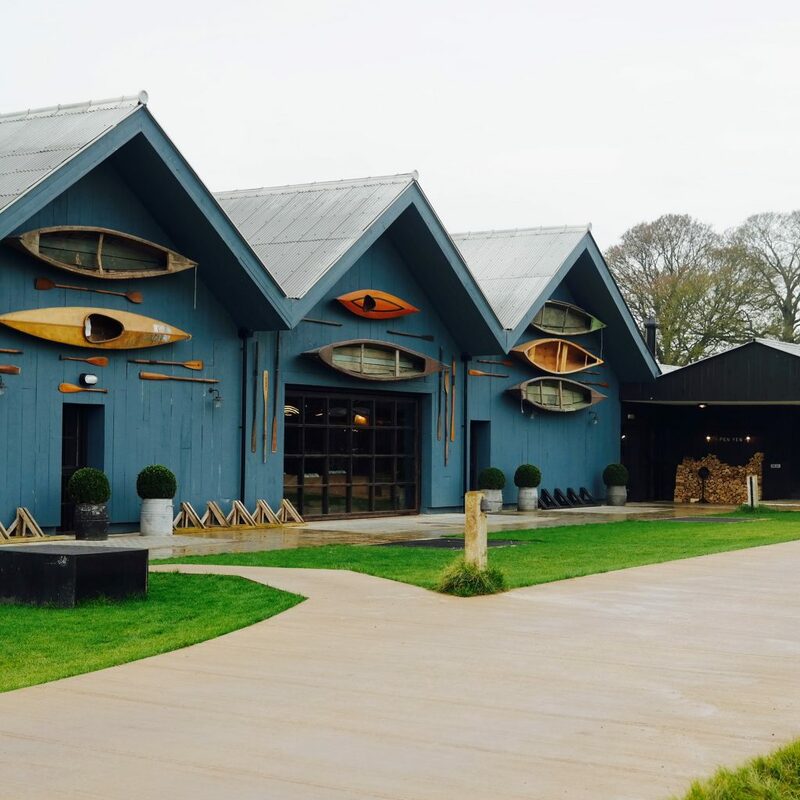 Soho Farmhouse: This exclusive farmhouse which is part of the Soho House family, was almost like a dream! 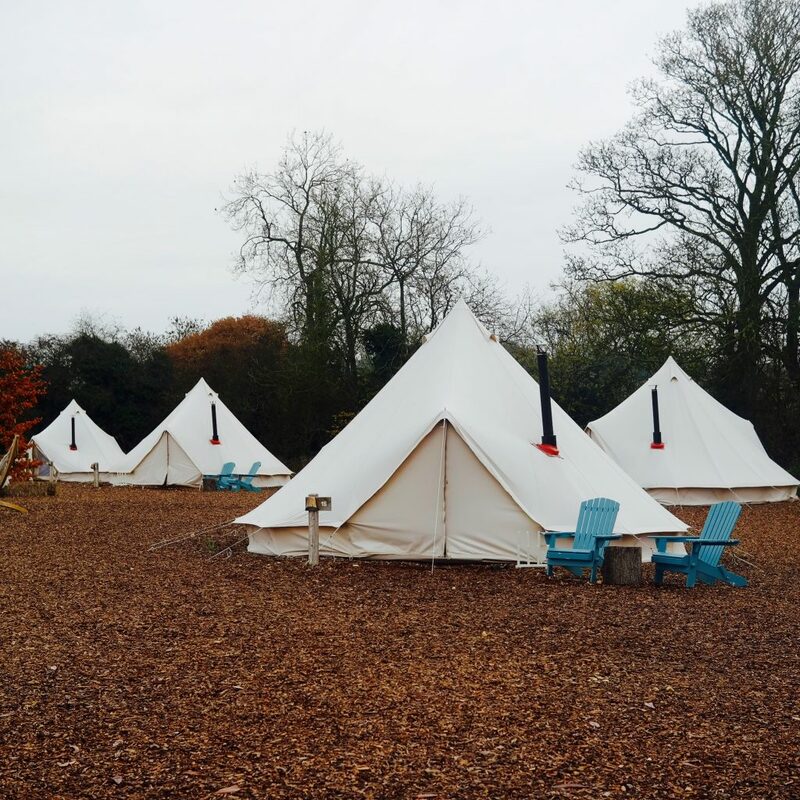 With cabins & teepees, its hard to believe that this English countryside is just a few hours from busy London! 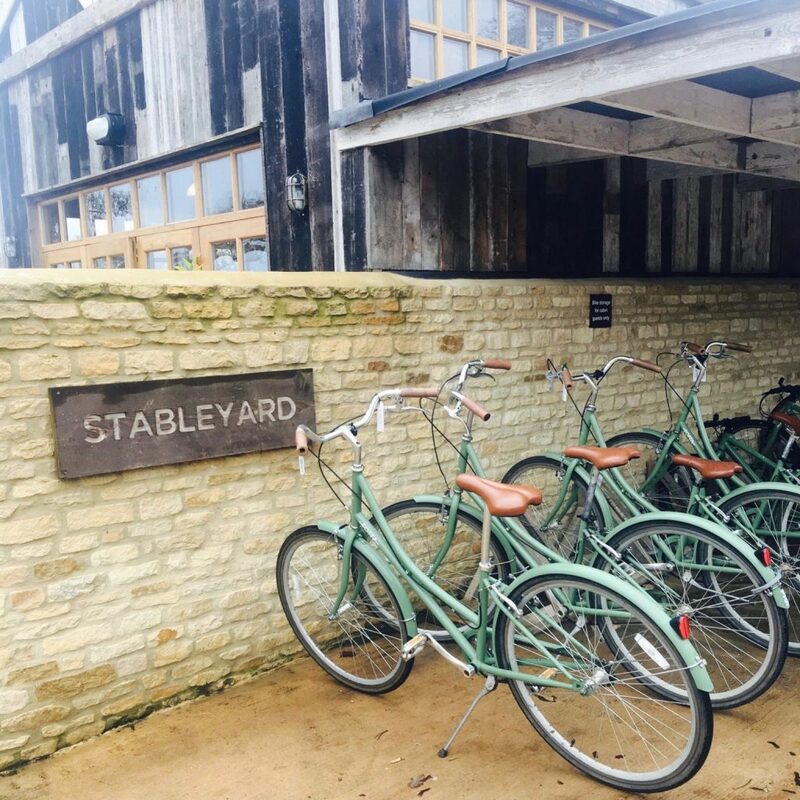 From the stables, to the wood burning fireplaces, to the MAJOR wellness facilities, this is the kinda spot that one could go to & never miss the big city ever again! Don’t fret gals…the Farmhouse teepees are equipped with 3 heaters! How is this place only 2 hours from the city?! The luscious foliage was unlike anything I had ever seen! The Bvlgari Spa: What’s a girls trip without at least one trip to the spa?! Even amongst our busy schedule, we had to make time for some 50 minute massages! And if I am being honest….50 minutes simply wasn’t enough! Next time I return to London, I am booking an entire day here! Maybe that’s the secret to fighting jet lag?! Ps. Ask for Coco….one of the best massages I’ve ever had. Harvey Nichols: This high-end department store was one of my first stops upon landing in London. 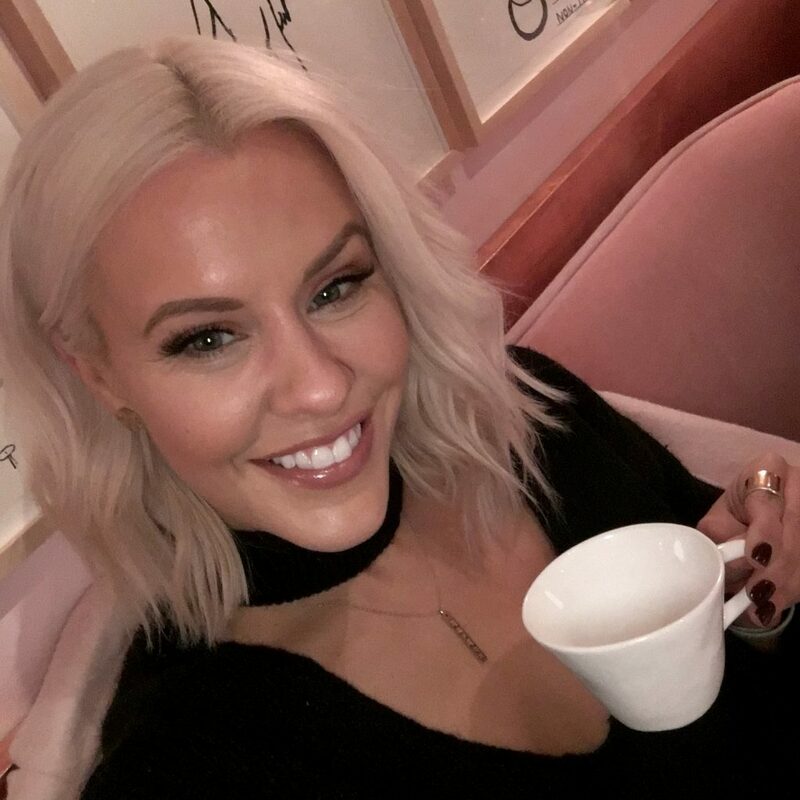 Featuring TONS of British designers who I can’t shop in person in the states, I was delighted to actually see a lot of these brands that I am familiar with from online. Anya Hindmarch Bespoke: I absolutely adore this leather brand, which I have previously shopped online, but this boutique on Pont Street offered something special….customization! I scooped up a couple Christmas gifts here, & was also excited to discover that they have a store in NYC, too! Bichester Village: LUXURY. OUTLET, MALLS. I repeat….LUXURY OUTLET MALLS! It’s pretty much too good to be true…Saint Laurent booties for 175 pounds?! WHAT?! Tod’s mules for 107 pounds?! Seriously. Luxury brands at almost 90% off. What’s funny is that my bank wasn’t even concerned that perhaps my credit card had been stolen…its like they KNEW I had found my shopping mecca! Harrod’s: You’ve probably been living under a rock if you don’t immediately associate the shopping of London with this longtime department store. If I was making an American comparison, I would say this reminds me of Macy’s in Harold Square in New York City. Somewhat of a tourist destination, but a must see, of course. If anything, take a Harrod’s ornament back home! 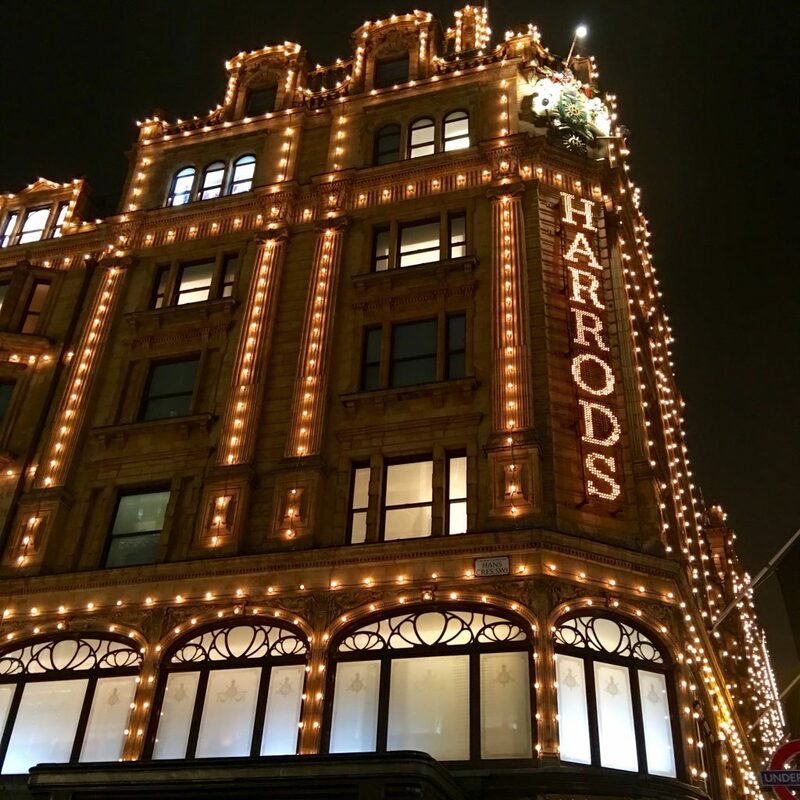 The lights are absolutely magical…no wonder Harrod’s is a shopping institution in London! And in case you didn’t notice, I barely had time to do any legitimate sightseeing! Guess this means I will just have to go back sooner than later! Beautiful article with great photography. So pleased to see you have ventured this side of the pond! Love the post!! 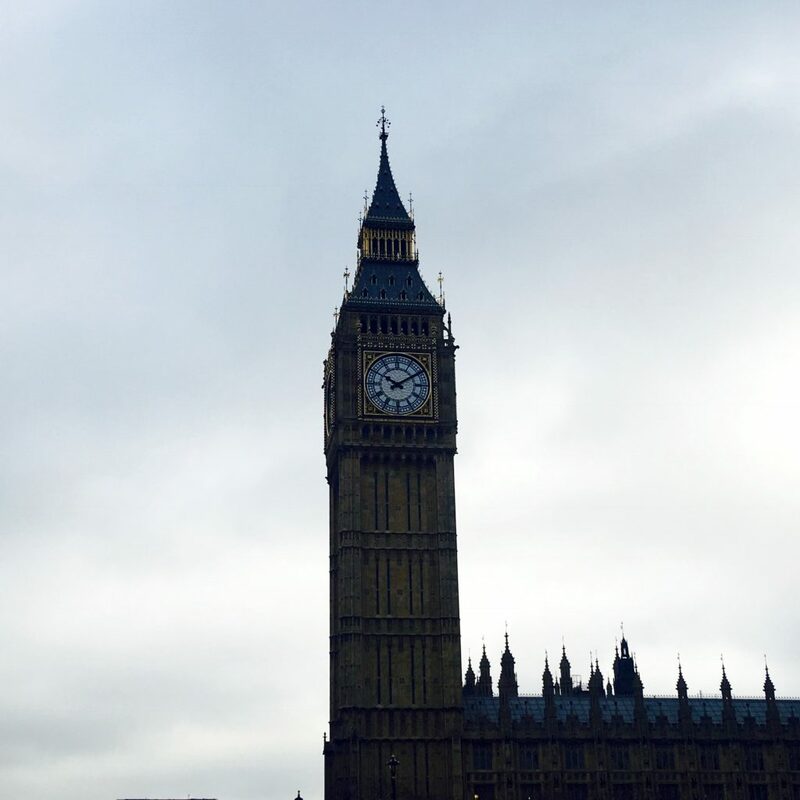 I love London, I was back in July. You never tire of this great city, there are so many incredible things to see and do. Afternoon Tea is a must and your visit to The Berkeley surely delivered! If you go back you must go to Dishoom, an Indian restaurant. 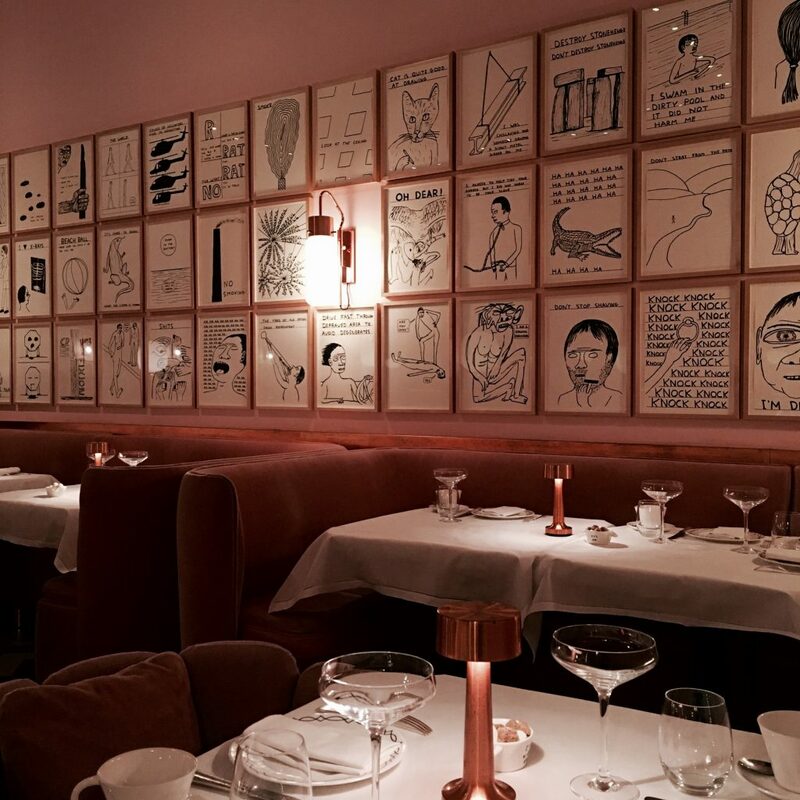 I lived in London for a bit and this restaurant absolutely blew me away. It’s the one restaurant that I recommend to all different types of friends when they go there to visit and they have all loved it. I’ve read your post. Obviously this is good work. I appreciate your good work. I love your post and learned a lot, All images are looking very nice! Does Anyone Actually Know What “Athleisure” Really Means?